Heeft u een vraag voor Chengpao Hotel? 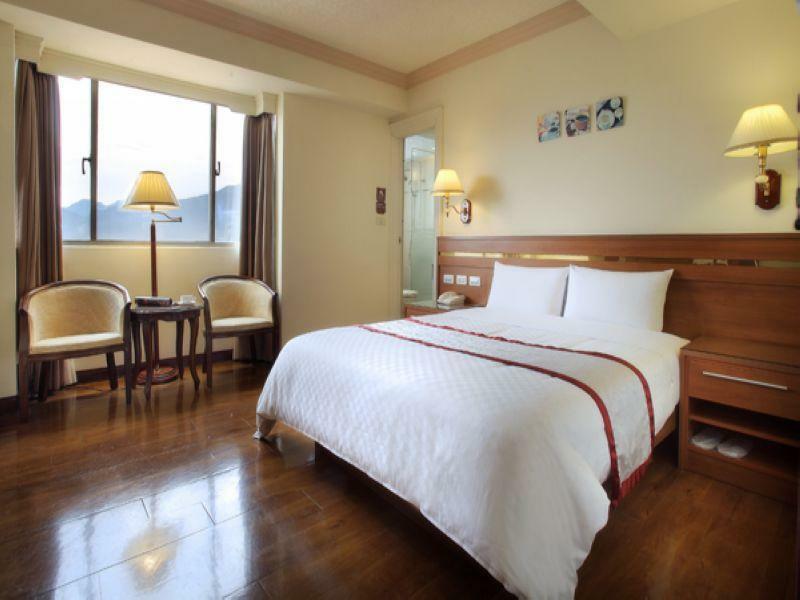 Chengpao Hotel, gebouwd in 1996, is een aanwinst voor Nantou en een slimme keuze voor reizigers. Op slechts 50 km afstand, kan dit 3-sterren hotel eenvoudig worden bereikt vanaf het vliegveld. Dankzij de praktische locatie liggen alle belangrijke trekpleisters in de buurt van het hotel. Het Chengpao Hotel biedt een onberispelijke service en alle essentiële voorzieningen om reizigers een plezierig verblijf te bieden. Dit hotel beschikt over vele faciliteiten die zelfs de meest veeleisende gasten zullen overtuigen. Aanvullend beschikken alle gastenkamers over een variëteit aan voorzieningen als plasma tv, internet (draadloos), draadloos internet (gratis), rookvrije kamers, airconditioning, om zelfs de meest veeleisende gast te tevreden te stellen. De recreatieve faciliteiten van het hotel, inclusief fitnesscentrum, sauna, zwembad (buiten), wellnessfaciliteiten, kinderclub, zijn ontworpen voor maximale ontspanning en onthaasting. 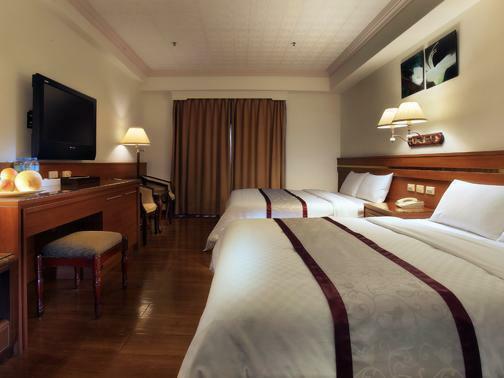 Fantastische faciliteiten en een uitstekende locatie maken het Chengpao Hotel de perfecte uitvalsbasis om van uw verblijf in Nantou te genieten. 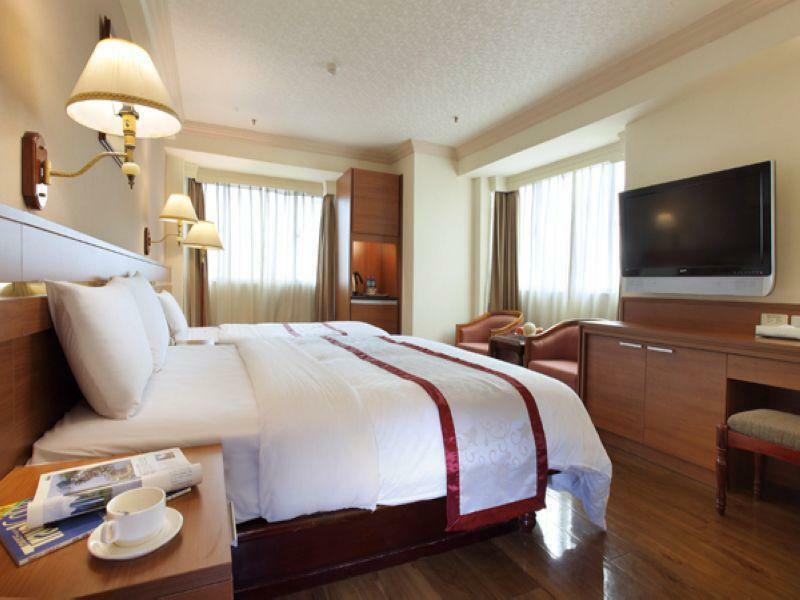 Overall hotel give a satisfying stay with a bit of outdated luxury feel. Breakfast are not much of choices. 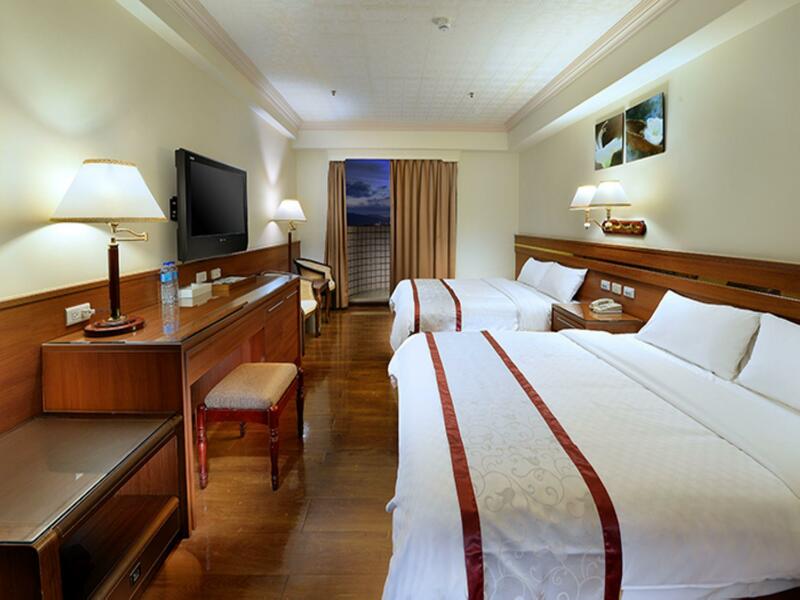 Room stay are spacious with 2 Queen beds for kids to run around and small balcony for nice city view. The hotel is packed with China visitors with might be crowded and noisy for those who can tolerance with their culture's. We apologize for the inconvenience. Thanks for your suggestions and welcome you again! Large room but dated by most standards. Breakfast, while seemingly plentiful, was largely disappointing. Considering the price of our stay (albeit being the busiest holiday season and thus double the usual rate) and what was provided, there are far better values elsewhere, just perhaps not in Puli, an extremely small and isolated town in the least populated county in Taiwan. 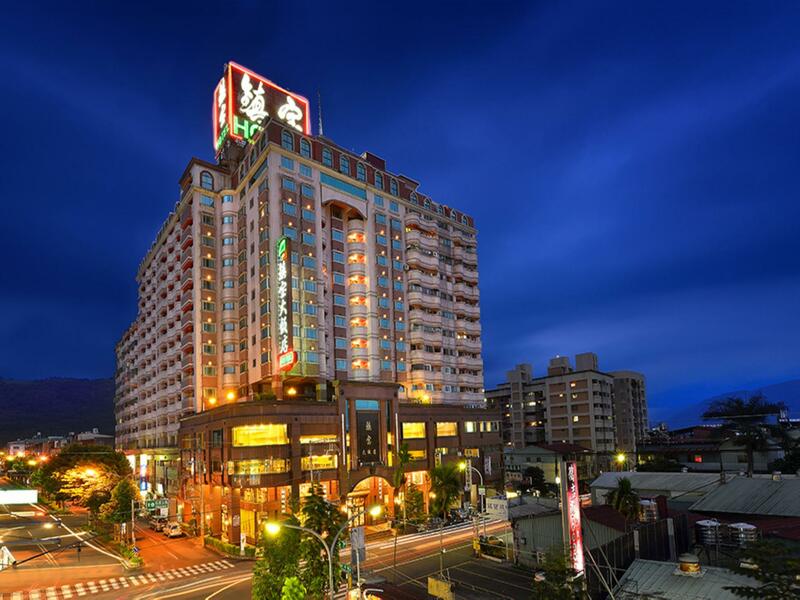 This hotel seems to be the largest in town and appears to be occupied mostly by local and foreign tour groups. On the plus side, the hotel was roughly a 10-15 min. stroll to the town center which was fairly festive with plenty of restaurants and shopping. Also, the hotel provided free indoor and outdoor parking. Location has not much choice of restaurants nearby. The hotel is quite old. The staffs are very good. Car park in basement floor is very convenient. Fantastic room with fantastic views, happy stay! It feels like you have travelled back to sixties living in this hotel. Hotel and furniture in the room is extremely old with manual aircon installed against the wall and it's filled with dust. Breakfast tastes horrible and it's mass portion seems like it's feeding a whole village of people. It was not a comfortable experience and will never book this hotel again. 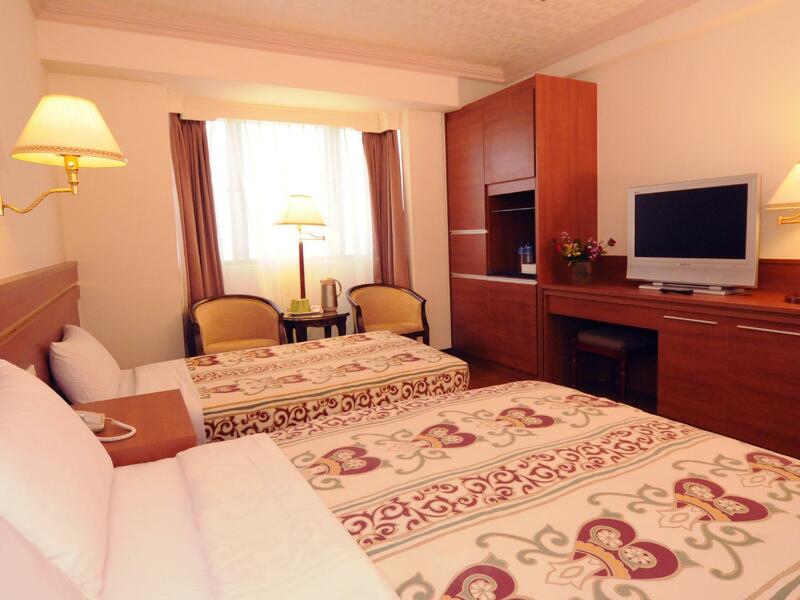 Price paid per night is not worth the stay. We apologize for the inconvenience. Thanks for your suggestions and welcome to see you again! Thank you for your suggestion, and welcome you to come again! I was bit by bed bugs. Probably due to my sensitive skin. Room was big with 2 King size beds and clean. Breakfast simple but tasty. Hotel is dated and the gym facilities are limited but does not bother us as we were staying only for 1 night. Thank you for your compliment and look forward to your next visit ! Old hotel that has been renovated. Good location and friendly staff. Thank you for your suggestion and compliment, welcome you to come again! Thank you for coming , and look forward to your next visit !Your comments , we will improve .